Although Saturday’s fatal BART crash was a tragic incident, the killing of two transit workers provided strong evidence that union officials have been right all along about two major aspects of the current labor dispute: Being a BART train driver is a highly skilled position and that BART workers sometimes toil in dangerous conditions. Moreover, union members were right to warn before the strike that BART managers should not attempt to drive trains in the event of a shutdown, because it’s too risky. On Saturday, a BART manager was in charge of operating a train that was reportedly on a maintenance run during the strike when it struck and killed two workers who were inspecting the tracks between the Walnut Creek and Pleasant Hill stations. One of the workers killed was a member of AFSCME, a union that is not one of the unions currently on strike. The CoCo Times reported that it was the six and seventh fatalities involving BART employees in the transit agency’s history. Although it might be several days before federal investigators determine exactly what happened in the crash, it seems clear from what has been reported so far that some opponents of the BART unions have been woefully wrong about key issues in this year’s labor dispute. For months, some critics of the BART unions have contended that the transit agency’s workers hold relatively unskilled positions, are overpaid, and do not deserve raises. Some have even gone so far as to suggest that BART workers who go on strike should be fired and could be easily replaced. Saturday’s fatalities offer compelling proof that such arguments are bogus — particularly when it comes to BART train drivers. The crash makes it crystal clear that BART train operators hold important jobs that require extensive training and skill. After all, the agency’s drivers hold the lives of hundreds of thousands of people in their hands each day. And this fact should been obvious all along. Indeed, over the years, BART drivers have put together a strong safety record. 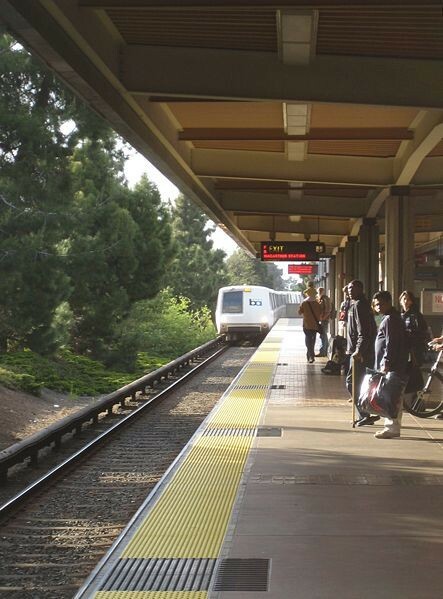 BART train accidents are extremely rare. And this reality “isn’t based on luck, but the experience and skill of its workforce,” noted Patricia Schuchardt, a member of AFSCME in an op-ed published last month in the CoCo Times. The chaos inside BART's communications center on Saturday also provides evidence that the agency’s communications employees — who are also on strike and so were not on the job — need to be well-trained and calm under fire. They, too, are valuable workers who cannot be simply replaced. Yesterday, the two unions on strike offered a new proposal that would allow BART to move forward with plans to modernize technology at BART, while maintaining the rules that protect worker safety. After Saturday’s crash, BART would be smart to take that offer.